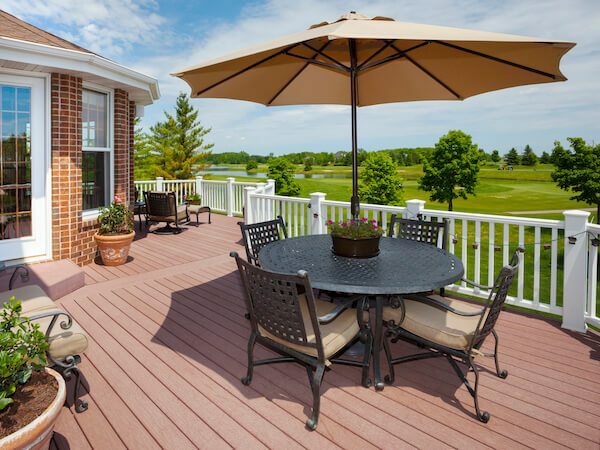 Have you given thought to your deck and porch ceilings? These are important details that you will have to live with for years to come. At Mans Lumber & Millwork, we have options for screened-in porches and glass porches with design recommendations for lighting and fans. A porch ceiling need not be boring. Are you thinking of plywood, vinyl beadboard ceiling or tongue and groove? A great ceiling adds lots of charm. Your choice! All types of woods from cedar to oak, PVC and composites available. Your choices! Hundreds of porch lighting options, Ceiling medallions, vinyl porch ceiling material, ceiling mouldings, and architectural/structural beams. The sky’s the limit!